Showing: 1-1 of 1 Items. 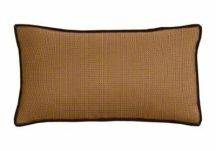 Customize your lumbar pillows by choosing your size, fabric, and your edging. These decorative pillows are custom made to your specifications. Choose from a wide variety of fabrics to create your custom pillows!